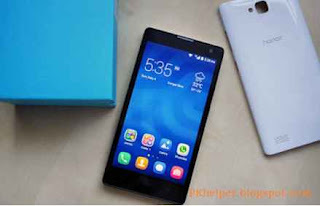 We had been able to create an Huawei Honor 3C overview for 2 weeks and write about how it felt in that time. First of all download all the appropriate drivers for your phone and install them on your laptop or desktop PC . Now install Iroot or kingo root in your laptop and open it. Now connect your phone to your laptop via usb data cable. Turn on usb debugging mode in your phone by going to System Settings > scroll down to the end > developer options > usb debugging mode > enable. If there is not any developer options available in your settings , it means you are not a developer.To enable developer options, follow the below mentioned step, otherwise ignore these two steps. To enable developer options, go to System Settings > scroll down > About > Software Information > Click on build number until you see a notification saying that you are a developer now.Congrats, you are a developer now.Now move on to next step. After turning on debugging mode from developer options, you will see your phone is now shown as connected in Iroot screen on your laptop.If you have installed the appropriate drivers for your phone, it will be successfully connected to the laptop but if its not connecting, make sure that 1-USB Debugging is enabled 2-You have correct drivers installed 3-your usb data cable is original and working 4-usb port is working 5-try changing usb port 6-try restarting laptop or your phone. Now after connecting your phone, click on Root in iroot on your laptop.It will barely take less than a minute and you will see a message saying that your phone is rooted.After rooting your phone will be restarted automatically after which you will see an app in your phone. It may be a Chinese app or anything else like that which is a sign of success. Congrats! Your phone is rooted .Now you can use the full potential of your phone without any kind of limitations.For full potential usage, you can flash a custom ROM for your phone. If that does not work, or you don't want to flash any other ROM, you can still install Exposed Installer and use the beast within your phone.Hope it works for everyone else as it worked for me.